In the present competitive business world, last thing you want for your company is an unsatisfied customer. The challenge to satisfy a customer through high-end service remains top priority during holiday rush. What exactly is a holiday rush? It can be basically described as a the boom in the number of customers during major shopping days like Green Monday, Black Friday and Cyber Monday to name a few. Various companies focus on mobile-friendly websites and apps to extract the maximum benefit of these days. These special days give a big boost to the sales of the company which makes it inevitable to plan a successful execution of customer services during these busy days. 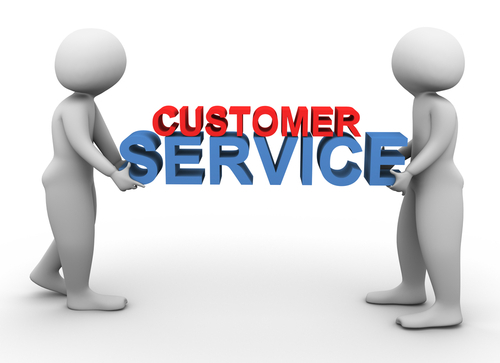 1) Triage the Customer service – The implementation of triaging in customer support is gaining popularity because of multiple benefits associated to it. In this process, the cases are divided into different segments and the complex cases are given to the experts while the regular cases can be covered by less experienced executives. Make sure to apply this strategy in your team especially during the busy days. 2) Create a special FAQs section for holiday season – A company must create frequently asked questions (FAQ) section especially for queries related to holiday season. • Are there any special discounts for holiday season? • What are the shipping policies during holidays? • What are the company policies for products that go out of stock are placing the order? These and various other questions solve almost 50 % of the consumer’s confusion. As a result, load on consumer service department is reduced drastically. 3) Start a contest among executives – Yes! You can implement this creative idea to boost the efficiency of your executives during those busy days. A contest related to maximum number of customer queries etc will impart competitive spirit among employees. This will ultimately raise the bar of the personnel as they will become mentally prepared to handle enormous volumes. 4) Organize a training session before holidays – A company must conduct an insightful training session for customer service executives which must include lessons on how to tackle the customers quickly during peak holiday season. This may include imparting knowledge detailed information to employees related to products / services along with company’s policies. Also, giving communication skills training related to crisp and concise communication can create a huge difference. 5) Allow the executives to make decisions – A customer care executive with power to take decisions associated with issues of the customer makes the overall shopping experience more satisfactory. This ultimately helps in achieving goals of the company during peak season. 6 ) Follow up after resolution – Making a consumer satisfied with the service during holiday time is not enough for a reputed company. It is essential to confirm the satisfaction level of the consumer which can be done by making a phone call or sending e-mail. 7) Cross training of employees- Employees working in other department can also be trained to manage the queries. It will save the company from spending extra monetary resources which are incurred by hiring new employees especially the temporary workforce. 8) Exploit the potential of social media – Social media channels like Facebook and Twitter can also become platform for handling customer queries. The social media executives and online marketing personnel can cover multiple queries. This can indeed decrease the volume of customer queries to a substantial level. One indirect benefit of using social media is that you can ask your satisfied consumers to post positive reviews and testimonials related to the company. So, make sure to add these fruitful strategies to manage your most resourceful team during holiday season. This will ultimately help in achieving your goals hassle free.